Walk through the garden regularly to scout for insect pests and diseases. Frequent scouting is the only way to catch problems early on, so you have a chance to control them before they have caused significant damage. To scout for pests, look closely at the leaves, stem, and fruit of the plants. Look for areas that are discolored, wilted, mis-shapen, or have holes. It is useful to carry a camera phone and a hand lens, in order to see small insects and capture photos of the problem up close. 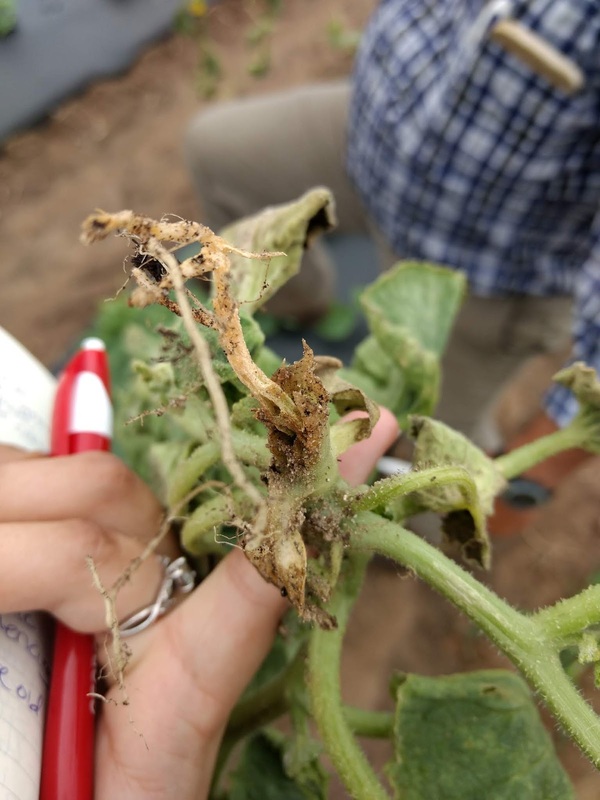 Once you have pictures of the damage, use the UMN Extension diagnostic tool to identify the problem. Knowing what the problem is will lead you to the solution. Potato beetles and Japanese beetles are both currently out and about right now. They are both very common and can cause rapid damage to plants. Beetles can be kept out with exclusion, or hand-removed into soapy water or killed with insecticides. Organic and low-risk insecticides are available. Click here for information on controlling Japanese beetles. 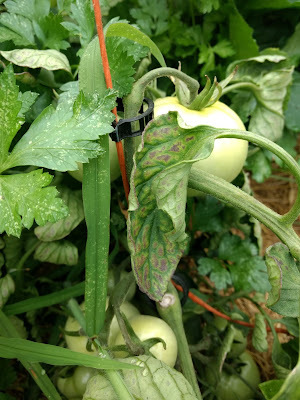 Aphids and spider mites should be sprayed off with water or killed with pesticides. Aphids can transmit viruses such as tomato mosaic virus, which significantly affect yield and plant health. Keep the garden consistently moist to several inches deep, especially in hot, dry weather. If using a watering can or hose, water each plant for several seconds rather than just passing the hose over them. The garden should be weeded regularly. Keeping weeds to a minimum helps your plants thrive without having to compete with weeds for nutrients, sunlight, and water. Additionally, remember to weed around the edges to keep turf and weed from encroaching on your garden’s square footage. When weeding, carry weeds out of the garden so they don’t re-root. They should be removed before they grow large enough to produce flowers and seeds. If they have produced flowers or seeds, do not put them in your compost pile. Dispose of them in the garbage or burn them in a designated burn pile. Thistles are especially burdensome. They spread underground, so one thistle left behind will turn into a whole patch rather quickly. Remove thistles’ taproots several inches into the soil and remove them as soon as you see them. 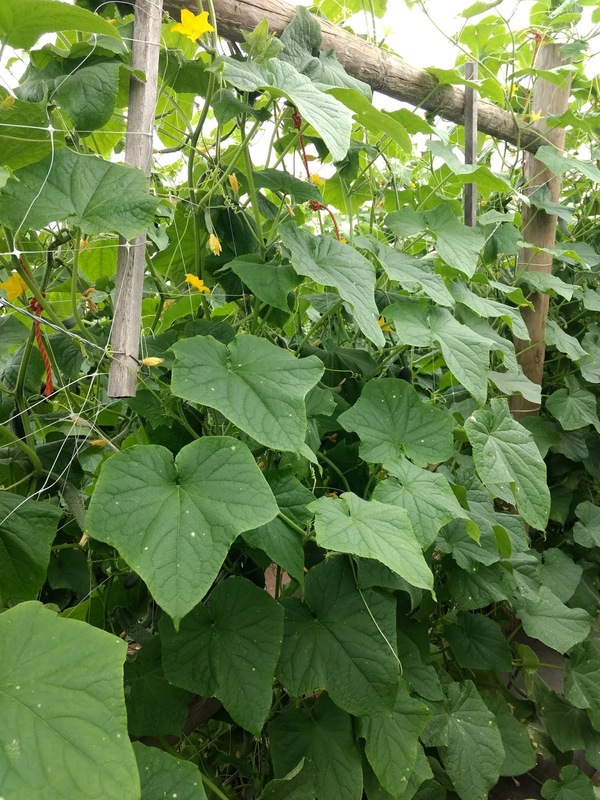 Keep cucumbers, melons, pole beans and other vertically-growing plants tied to their trellis or cage. Vining plants growing vertically will produce best when they are securely on their trellis. 4) Share vegetables with friends and family!